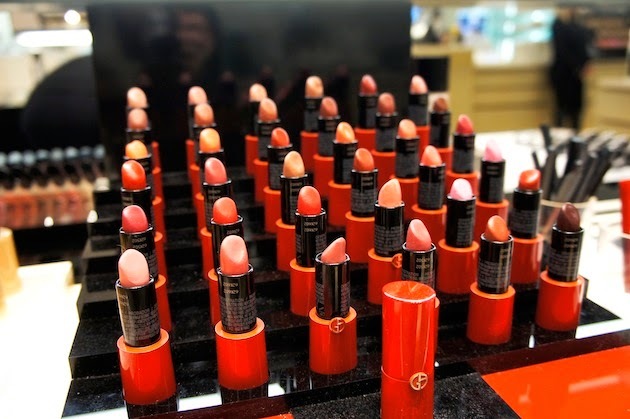 Armani Rogue Ecstasy Lipcolor Collection - Saks Beauty Week is through October 5th! 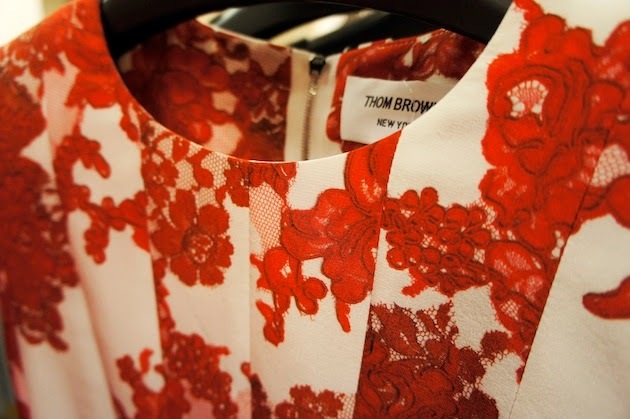 This Thom Brown dress is the perfect holiday party frock! 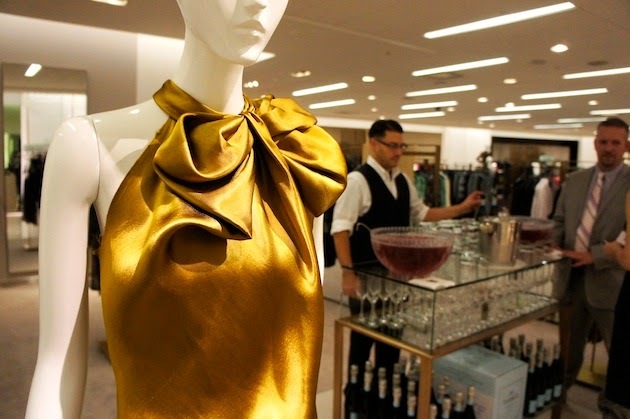 The much-anticipated unveiling of Saks Fifth Avenue Boston's newly renovated Women's Premier and Contemporary Design floor last week really breathed a sense of style and sophistication into the city. On the eve of Boston Fashion Week, it's all people were talking about! (Take a look at that Céline boutique and you can see why.) 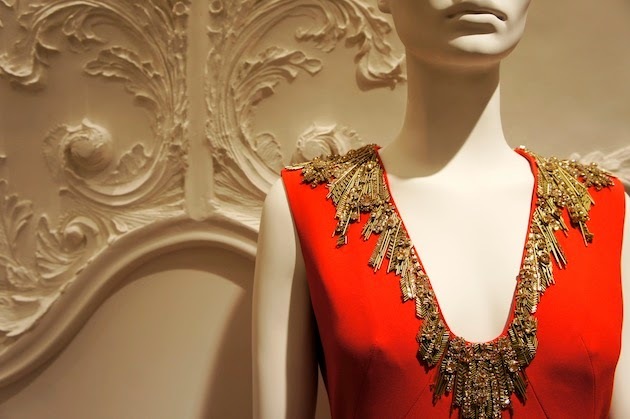 Each brand has a boutique shop in the store, so one gets a sense of strolling down the avenue, window shopping, and getting a glimpse into each design house's vision. I was pleased to see structured, ladylike coats, one of my favorite trends for fall / winter, well represented. 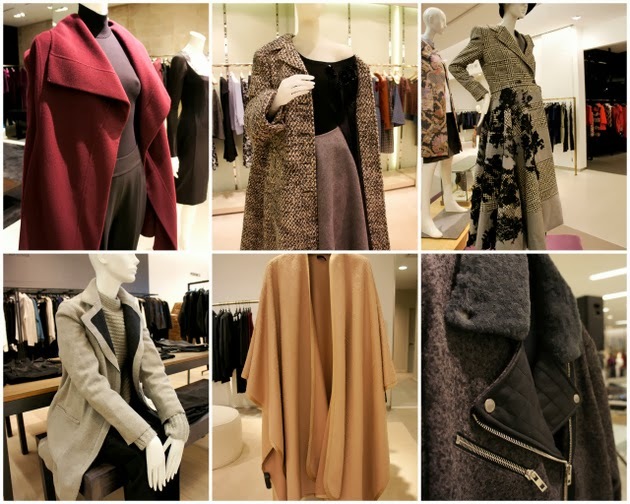 I'm in love with Rag+Bone's moto style, and Donna Karan's cranberry drape coat. Which of the coats is your favorite? 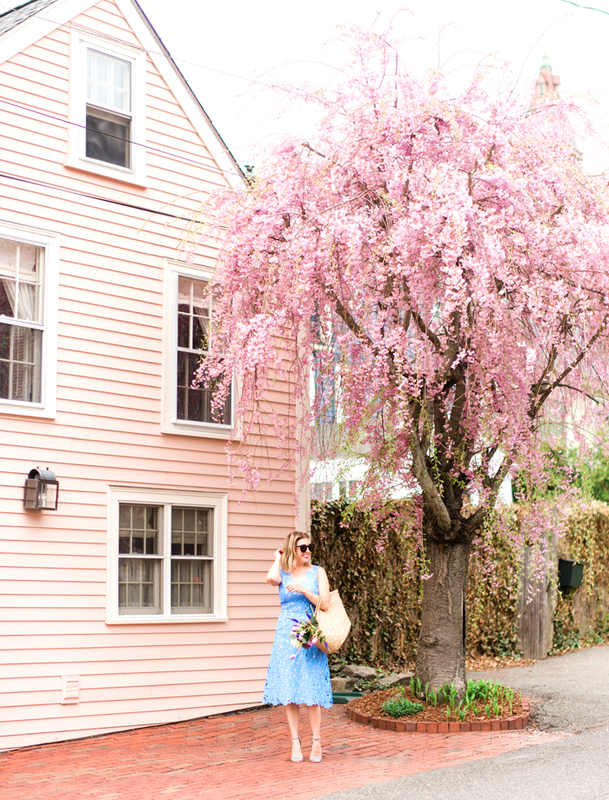 They are a MUST for any Boston gal! that first pic- the lanvin is a show stopper! Gorgeous, right? I gasped when I saw it. Thanks - it's from this cute local designer Lindsay Tia!